FIV is not a death sentence. FIV+ cats can live long, healthy lives. Consider adopting one today! 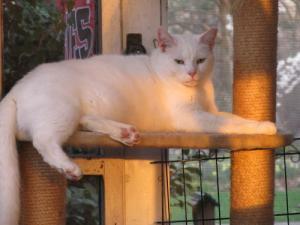 Meet Ricky, our very own FIV+ Success Story! A big ol’ love bug, Ricky was a stray when he came to us. His ear had been tipped, indicating that he had been neutered already. We took him to the vet and it was determined he was FIV+ but this didn’t slow him down at all. He was a healthy boy. Ricky did not have any teeth. It didn’t stop him from eating though, he LOVED to eat. He loved to be in his fosters lap and get lots of lovin’. He lived in a house full of cats while he was with us. He liked most of his furry friends, but some, not so much. He couldn’t hurt them and since he does not have teeth and has been neutered, he could not spread FIV. He was a wonderful boy while he was with us, and now he is living happily in his furrever home where is still not the only cat in the house! We couldn’t be happier for Ricky! 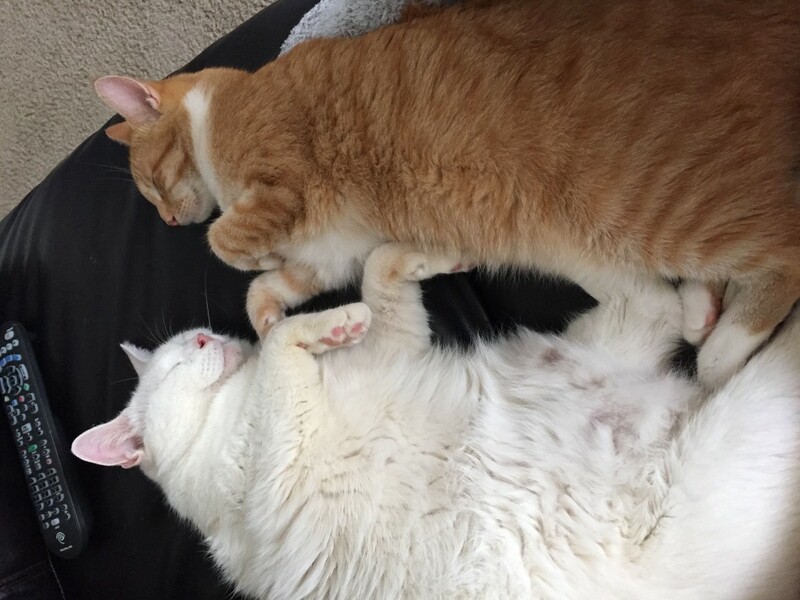 Here are a few pictures of Ricky (all white) and his pal Sunny (orange and white). 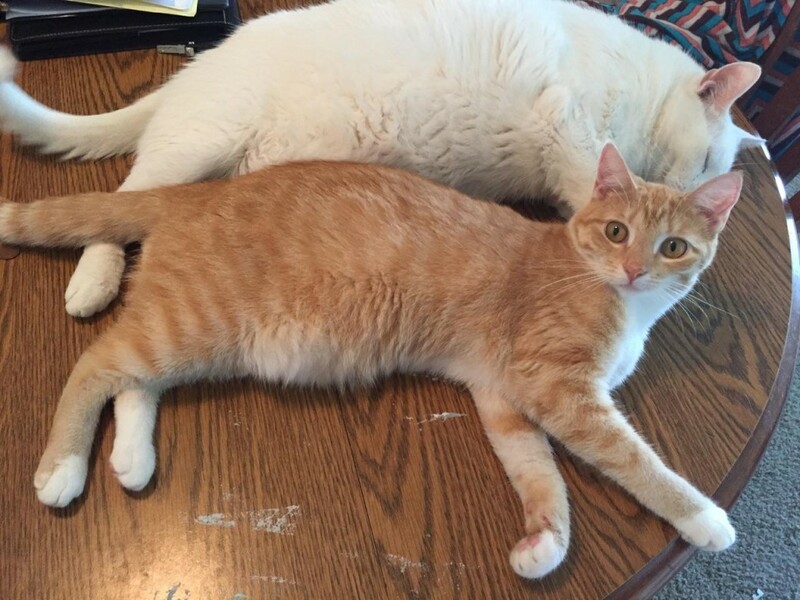 Check out the article below by Sr. Eileen Connelly to learn more about FIV and what it really means, then check out our adoptable FIV+ cats and let us know if we can answer any questions you may have about adopting an FIV+ cat. It happens all too often that a beautiful, affectionate cat is overlooked for adoption or euthanized simply because he or she has a disease that is misunderstood: FIV (Feline Immunodeficiency Virus). It is important to realize that a positive test for FIV is not a mandatory death sentence. Cats with FIV can, in fact, live long, healthy and happy lives. will have a harder time fighting off infection since its immune system is weakened. According to Cornell Feline Health Center, approximately 1.5 to 3 percent of domestic cats in the United States are infected with FIV. The disease is primarily transmitted by deep bite wounds and is most prevalent among unaltered males due to their propensity for fighting while competing for territory and females. FIV may also be transmitted from a mother cat to her kittens. This type of transmission usually occurs when the kitten passes through the birth canal or by ingesting infected milk. Sexual contact between cats is not a primary means of spreading FIV. It is a species-specific disease and is not contagious to humans or other animals. For FIV testing, most veterinarians use the ELISA (Enzyme Linked Immuno absorbent Assay) test, which detects whether FIV antibodies are present in the blood, not whether the virus itself is present. This test is available in kit form for use in veterinary clinics and can also be performed by most veterinary diagnostic laboratories. Since false-positive results may occur, veterinarians recommend that positive results be confirmed using a test with a different format. Kittens born to infected mothers may receive positive test results for several months after birth, however, few of these kittens actually are or will become infected. To clarify their infection status, young kittens with positive results should be retested when they reach at least six months old. Most national TNR and rescue groups do not support testing feral cats for FIV unless the cat is demonstrating active signs of poor health that could indicate the virus. Besides the low percentage rates of cats infected by the disease, the low likelihood of transmission and long life span, the cost of testing can be substantial and funding is more effectively invested in spay/neuter programs rather than FIV testing. Current FIV tests can’t distinguish between cats that are infected with FIV, vaccinated against FIV, or both infected and vaccinated because the vaccine stimulates the production of antibodies that are indistinguishable from those that develop from the infection. The same groups also advocate the release of asymptomatic FIV+ cats back into their colonies as the risk of transmission is low and a well-fed, well-managed colony will have strong immune systems and a natural resistance to the virus. Providing a good home to an FIV+ cat is really no different than providing a good home to any cat. FIV+ positive cats will most likely have many years of good health, as long as their owners are diligent in watching for signs of infection and ensure that they receive regular vet visits and a proper diet. It is also essential that FIV+ cats live indoors only and be kept free of external and internal parasites. In addition, their environment should be kept as stress-free as possible. Like any cat, he or she will thrive on plenty of love and attention. With good care, many FIV+ cats can live nearly normal life spans, and it’s not uncommon for FIV+ cats to reach 10-15 years of age. 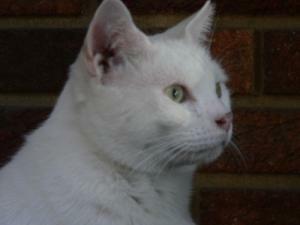 The disease does not mean the infected cat needs to live in solitary confinement or be the lone feline in a household. Because it is not spread through casual contact, many now believe that FIV+ cats can share food bowls, litter boxes and toys without transmitting the virus to other cats in the household.